Warning: This article includes descriptions of sexual and physical abuse of children. 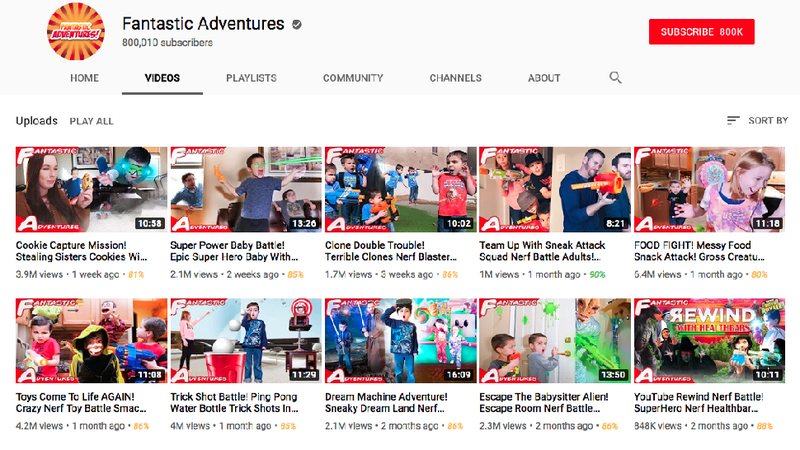 “Fantastic Adventures” has nearly 800,000 subscribers and most of the videos have been viewed several million times. Collectively the channel has more than 250 million views. Each episode depicts the children acting out fantasy scenarios for ten to fifteen minutes. According to court documents, the woman who runs the channel, Machelle Hackney, 48, and her two adult biological sons, were arrested at their Maricopa, Arizona, home on Friday. Law enforcement took action after Machelle’s biological daughter Megan contacted authorities on March 13. Megan told authorities that Machelle had abused Megan’s adoptive siblings by spraying them with pepper spray and leaving them in a locked closet for days without food or water. Law enforcement then conducted a welfare check at Machelle’s residence, where they found a child in a closet that had a lock but was it unlocked. Officers noticed the children looked pale and malnourished. The children reportedly stated they were hungry and thirsty. As the officers spoke to the children, one child drank three 16-ounce bottles of water in 20 minutes, according to a police report. Officers offered another child a bag of chips after she said she was hungry, but the child was reportedly afraid to eat it because she didn’t want Machelle to smell the chips on her breath.